“It involves multiple sensory and motor systems, as well as central conceptual systems for cognition and memory — and systems for emotion and pleasure,” Shepherd says. So the brain becomes more engaged in wine tasting than it would, for example, be when it comes to solving a math problem or listening to music, which involve fewer body systems working together. A key point (and yes, a somewhat abstract one to wrap your head around) is that the flavors we perceive aren't in the food or drink itself, but rather something that the brain creates. The brain actually creates all of our sensory world, Shepherd says. Color, for example, does not exist in the objects we see. Whether something appears purple or orange to us is instead a result of the way light hits that object and those different wave lengths of light stimulate the circuits of our brain (which we’ve identified as different colors). Similarly, we feel pain because of the neural processing that happens in the brain in response to a stimulus that something is wrong with another part of our body (such as a brick falling on our foot). But what’s different about taste compared to our other senses is that so many body systems and sensory processes are involved, as Shepherd explains in a 2015 review article published in the journal Flavour. First the senses: Our sense of smell (both the odor stimuli we get from sniffing in as well as from breathing out) are involved. And our sense of sight is involved, perceiving what the food or drink looks like. And there’s the sense of touch (or the texture of food) we feel in our mouth and our tongue. Additionally, different muscle and motor systems are involved in the physical process of tasting (the tongue, jaw, cheek, neck and more). Then there are the brain systems involved (the central behavioral systems): Memory systems are engaged in recognizing flavors you’ve experienced before. You may or may not have an emotional response to a wine. Hormonal systems may be triggered to deliver a dopamine (pleasure) response. The brain regions that control motivation are activated to determine whether or not you’ll keep drinking. The pleasure network in the brain makes the final decision on our rating of the wine. And the part of the brain that controls language and communication is activated if you’re telling others about what you just tasted. Technically wine is a food. So does the same thing happen in your brain when you’re tasting, let’s say, a piece of chocolate cake or a type of olive oil with “concentrated discrimination”? Charles Spence, PhD, Professor of Experimental Psychology at University of Oxford, studies how the human mind processes information from the environment around us. 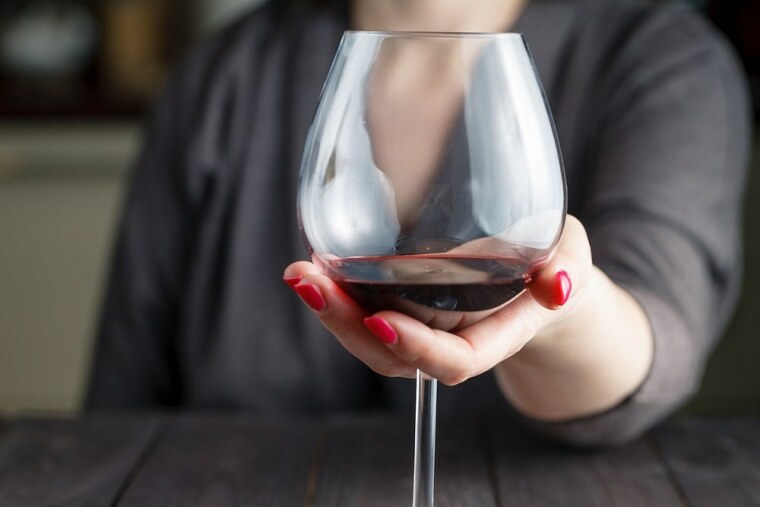 Work from his lab suggests that there are a lot of factors besides the chemical composition of a wine affect what we taste, and therefore the brain is busy when we’re (thoughtfully) tasting it. A 2017 study from him and his colleagues suggest that even for wine writers, whether the taster hears a cork being popped or a screw-cap bottle being unscrewed can affect their ratings — likely because each sound sets off different expectations, which do affect taste, according to the paper. The study included 140 individuals (all with varying levels of wine expertise), and is still a preliminary investigation of the question. Other data found how heavy a wine bottle is and the music a taster is listening to can change the words we use to describe it. “But the perception and enjoyment we experience is clearly a construct of the mind that engages the senses and links to our memories,” Spence explains. Does that mean that wine tasting is good for my brain? But that doesn’t mean that the alcohol you’re putting in your body isn’t causing other problems. A large, global analysis published in August of more than 700 studies that looked at alcohol consumption and disease burden found that it actually may be that any amount of drinking heightens disease risk. But there’s also pretty convincing evidence that alcohol consumption can do it’s share of damage, too. For any patients with early-stage memory loss, depression, anxiety, insomnia and fall risk, drinking alcohol can worsen these problems. And there’s the concerning findings in that new study on the global disease burden of alcohol, he says.